We’re really pleased to say that Don’t Fear Death has won the Public Award at Anibar International Animation Festival! The audience really enjoyed your film, the black comedy of it, and the plot twist at the end. A full list of the festival winners is available on Anibar’s website. You can catch Don’t Fear Death at several upcoming screenings including the 20th Encounters Short Film and Animation Festival which runs from 16-21 September 2014 in Bristol. 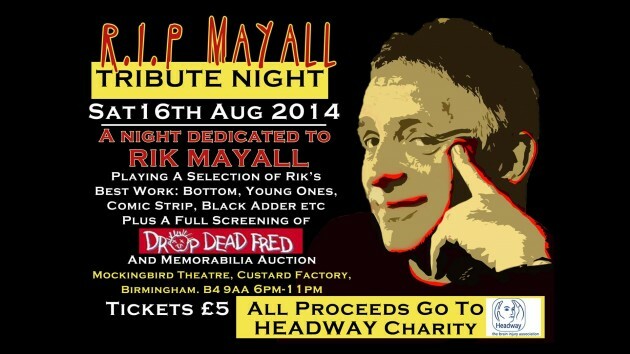 Don’t Fear Death will be playing at a Rik Mayall tribute screening at the Mockingbird Theatre at the Custard Factory in Digbeth, Birmingham this Saturday, 16 August. We’ll be going along to watch Rik’s classic moments on the big screen including The Young Ones, Bottom, Blackadder, Comic Strip and a full screening of Drop Dead Fred. The screening starts at 6pm, tickets are £5 and all profits go to the Headway Charity which was set up to tackle brain injuries. Get tickets here. 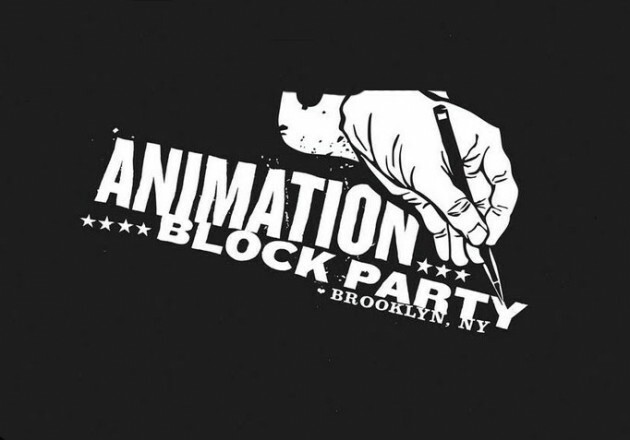 Animation Block Party is one of the coolest festivals we’ve never been to. The screenings are held on the rooftops of Brooklyn, new York and is the premier animation festival of the East Coast. So we’re really pleased that Don’t Fear Death will be screening there this Saturday 26 July from 7pm. And to top things off, Don’t Fear Death is the last film in competition in Program 7: International Shorts from 7pm, so essentially we’re headlining* Hopefully we can get along to the festival in future years. It looks great. *or so we’d like to believe. 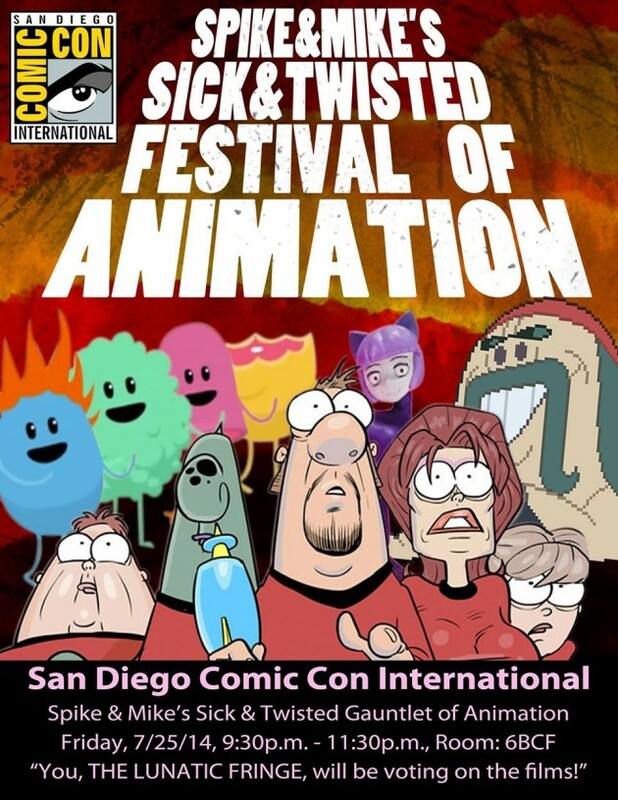 Don’t Fear Death is screening on Friday 25 July at San Diego Comic-Con 2014 as part of Spike & Mike’s 11th Annual Sick & Twisted Gauntlet. Check out Don’t Fear Death and Bored Stiff in the trailer below! The sudden and tragic death of Rik Mayall has been a loss for generations of comedy fans and has robbed the world of one its most irreplaceable humans. Thankfully, the morbidly ironic fact that Don’t Fear Death is now one of his last projects hasn’t been lost. It’s nice of people to think that this would have been a fitting two-fingers to the world on the way out. From my point of view it’s hard to tell if the humour of the film’s been tainted as Ian and I felt quite close to him. He was generous and supportive to us in the short time we spent with him. We had planned further projects and it looked like he was set to have a strong new wave of output. 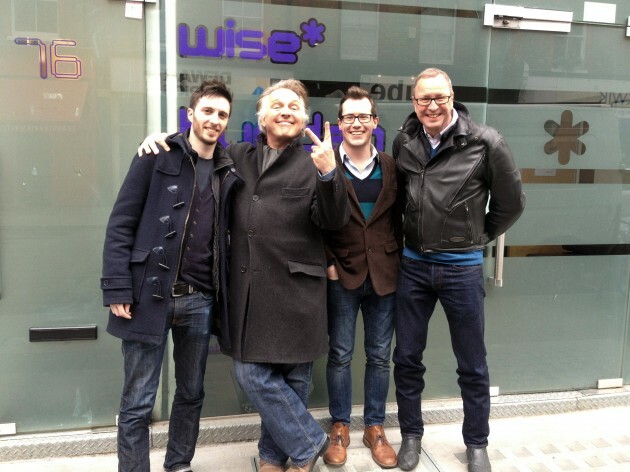 I was particularly looking forward to Richard Herring’s influence on Rik in Man Down, an old git take on Bottom would have been lovely, and he had a mine of subtlety in his acting that had barely been harnessed in 20 years. Maybe everyone else can just see his vast body of work and incredible life for what it is. Don’t Fear Death has a glut of film festival love coming up including some that we’ve wanted to be part of for ages. First up, we’ll be screening at Birmingham-based Flatpack Film Festival as part of Pick n Mix 1 at 3.30pm on Saturday 22nd March at Birmingham Midland Institute. This year looks like its biggest and best and I’m looking forward to getting to as many screenings, talks and parties as possible. Next it’ll be competing at Stuttgart Animated Film Festival, which is a huge honour. Then carrying on the German theme I’ll travelling to Berlin to do a Q&A at Pictoplasma! Seeing as it’s a film festival centred around character design it’s fairly apt that the film has over 40 characters in it. I’ve had my eye on Pictoplasma for a while now and really pleased that we can be part of it. Like Annecy, it’s one of those festivals that likeminded people from around the world come to and have a extended piss up. Lovely. Want to see Don’t Fear Death on a big screen? Firstly, congratulations on your very specific needs, and secondly you have a chance to achieve your dreams as Don’t Fear Death is screening in competition at The London Short Film Festival at 9pm on Friday 10 January at the ICA. The screening includes a lot of other great shorts so you’re guaranteed to be amused and entertained. 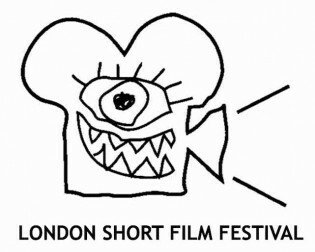 We have a little history with LSFF as we had the pleasure of winning the short comedy award in 2012 with Man in a Cat. It’s a great festival with a real passion for short film and we absolutely love that they have a focus on funny when many other festivals treat comedy as a a mere palette cleanser. Anyway, go to the screening. All of the details are on the LSFF website here. Happy new year tidings and all that! 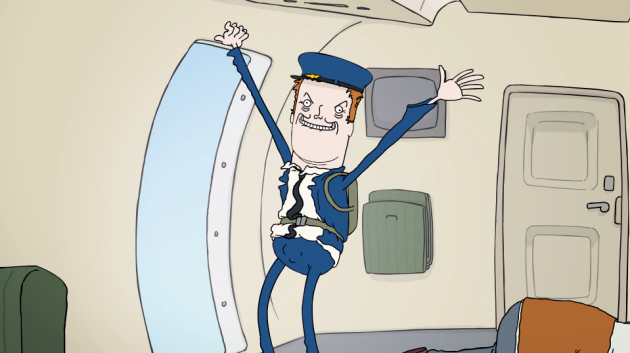 In a pleasant start to 2014, Don’t Fear Death has been picked out by the super chaps at The British Comedy Guide as one of their top 12 online comedy videos of 2013.